Johannesburg (West Park) Cemetery is located 10 kilometres north-west of Johannesburg. From the N1 take DF Malan Drive in the direction of Johannesburg. The entrance to the cemetery is located 6.5 kilometres on the right. A sign indicates the route to the military plot. The Cremation Memorial is situated in the military plot directly behind the Cross of Sacrifice. This large cemetery is still in daily use and is open between 07.00 and 17.00 daily. There is no problem in locating the military plot, but it is advisable to consult the Secretary, CWGC South African Office - Tel and Fax: (27) 12 663 7285 E-Mail: cwgc@mweb.co.za - or the cemetery office about the position of the scattered graves. 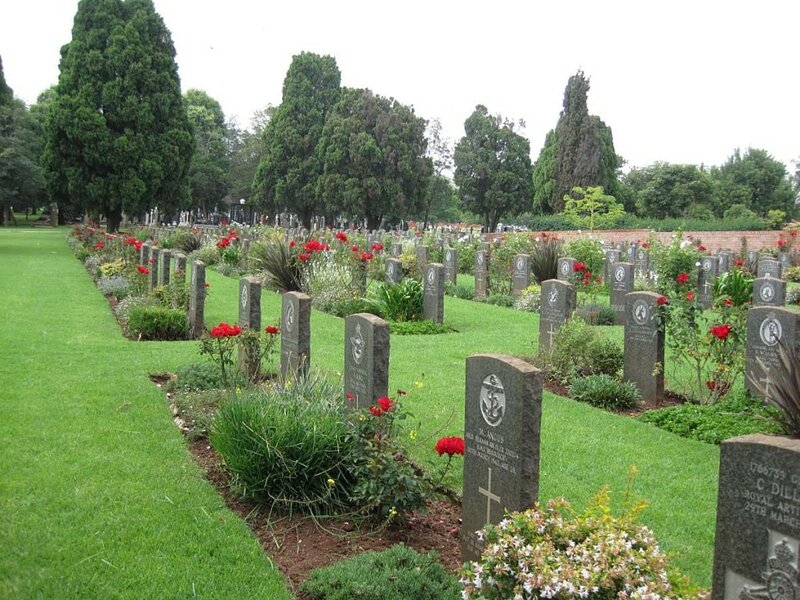 During the Second World War, there was a large military wing in the Johannesburg General Hospital and military hospitals at Baragwanath and Cottesloe. The Baragwanath hospital handled a large number of casualties sent from the Middle East. Flying training under the Empire Air Training Scheme was conducted on a considerable scale from the Baragwanath airfield. Further to the south-west at Lenz was the largest ammunition depot in South Africa. 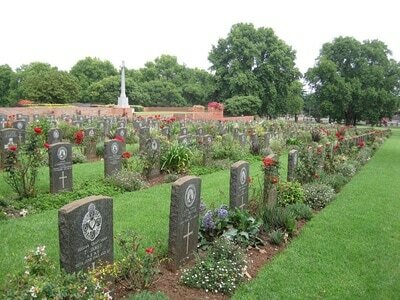 Johannesburg (West Park) Cemetery contains 617 Commonwealth burials of the Second World War. 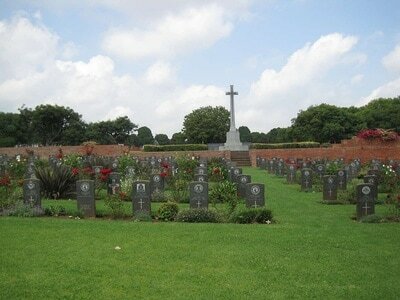 There are also 21 war graves of other nationalities and seven non-war burials in the Commission's care. The Johannesburg (West Park) Cremation memorial commemorates 69 servicemen and women who were cremated in Braamfontein Cemetery in Johannesburg during the Second World War.